The snow has finally melted and flowers will soon be showing their colors. But if you’re like me and have a black thumb, you’ll have better luck with making some flowers with fabric, needle and thread. In addition to the beautiful pieces from Candace Kling and Soutache Ribbons, here are some floral embellishment ideas that will hopefully inspire you and brighten your day. 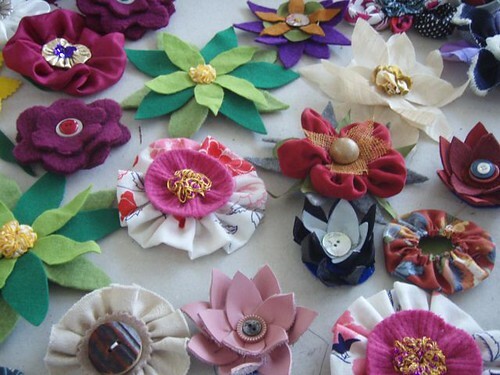 These beauties are brooches from textile designer Ruth Singer‘s flower/corsage workshop. Study this picture and you’ll see flowers made from felt, leather and yo-yo’s. Ever see a pretty button, but have no idea what outfit you would put it on? How something like these pretty flowers? 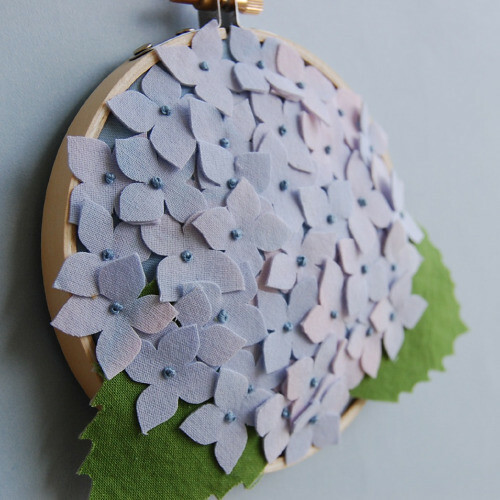 Imagine this next bunch of hydrangeas as a pocket on a swingy, skirt or clustered on a jacket…a sewn-in corsage! Or make it in an embroidery hoop as e tells tales does and enjoy over a kitchen sink or in your sewing studio. I wonder if this flower was made in green, if it would look more like an artichoke? 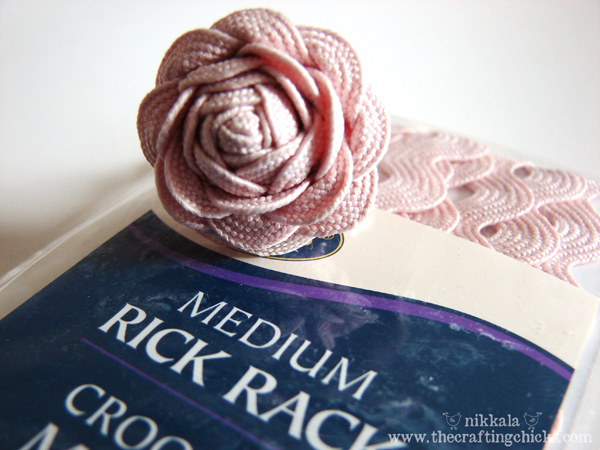 🙂 Crafty Chicks’ tutorial on their blog will show y0u how to make this vintage-looking rose. This next floral display of poppies(?) simply screams spring with its color and fun spirit. Sure, the colors aren’t true to Mother Nature’s palette, but there just seems to be a fresh feeling to it. Could be that the vibrant colors are set against the crisp white cotton. And you don’t have to give up if you’re working with knits. Imagine a trail of these next posies on your garment or a pillow. A beautiful tone on tone, texture effect. Sew It All has a full tutorial how to make this on their site. Clotilde’s Garden Zips pattern has some fun with zippers! And what’s a garden of flowers without a few floral-friendly insects? Sew cute! Happy Spring! If you make any of these or any of your own flowers, please be sure to send in a picture or post it to our Members’ Projects Flickr album. We’d love to see what you’re making! Fold it, pinch it, dust it, fluff it, even felt it. 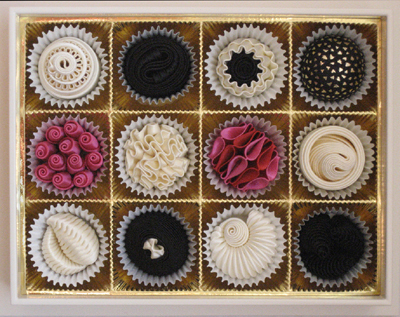 It’s felted food..well, not just felted as you can see by this bee-yoo-tee-ful box of chocolates. These are the best-est truffles in the world! Because they have zero calories…but you can’t eat them. They’re made from ribbon. They are the creations of Candace Kling, a San Francisco textile sculptor and teacher. Marina at Soutache Ribbons told me about her. Candace Kling is the author of The Artful Ribbon and teaches around the country how to bring life to ribbon as embellishments. She has taken the embellishments beyond the ribbon flowers and has brought back the art of using ribbon as trim, with an vintage, but updated feel. Go to Candace Kling’s site to see the other luscious chocolates and A-MA-ZING sculptural art she created. You won’t believe that they are made from ribbon. I, for one, am going to keep my eyes peeled for any classes she might teach in our area. Going to a different side of the spectrum…I won’t say “the opposite side” because I think these next items are just as gorgeous and creative as the Candace Kling’s ribbons. 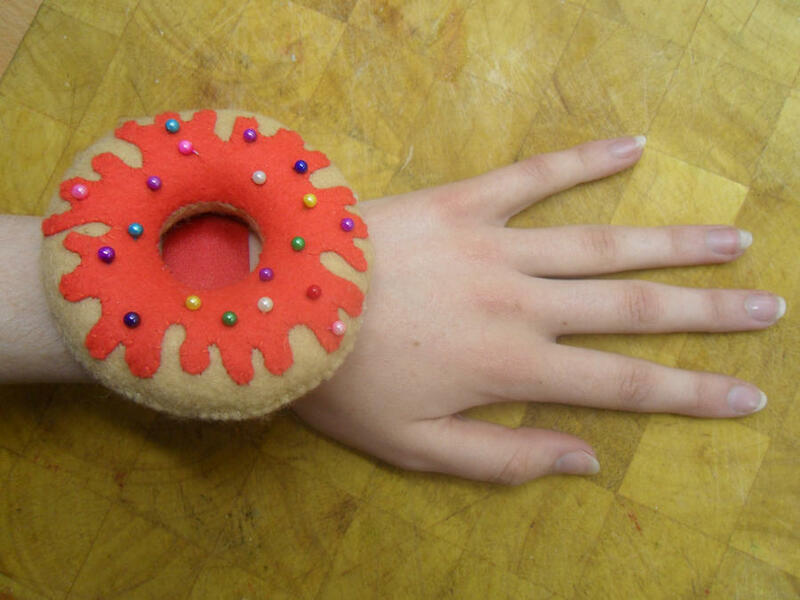 Maybe you’ve seen someone in your group or local fabric shop make doughnut pincushions. 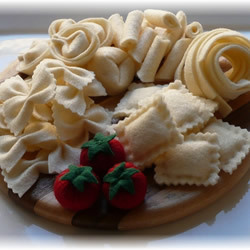 These are practical as well as fun, but if you want to take felted food to a different level than softies for your youngest child to play with, take a look at these. I think I gained five pounds just looking at them. Come to think of it, this would still be fun toys for my niece and nephew to play house with. Isn’t it amazing and inspiring what sewists are making with felt? Most of the books that I’ve found on felt food are in Japanese, but the instructions are filled with pictures that, after some studying, can surely be understood. 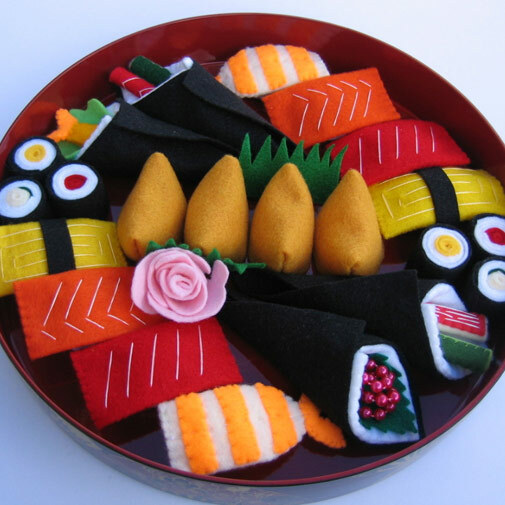 Or, like me, you can just search the Internet for “felt food” images and appreciate the handwork. 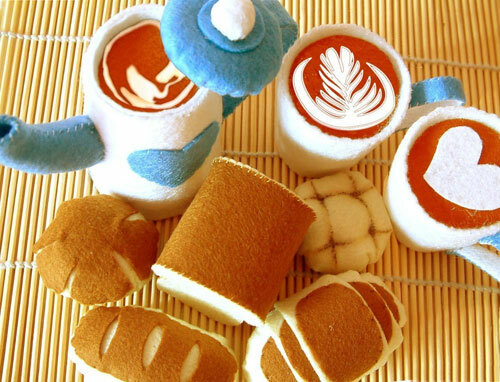 I can tell you that if you search on Flickr, there are several delicious examples of various felt foods. 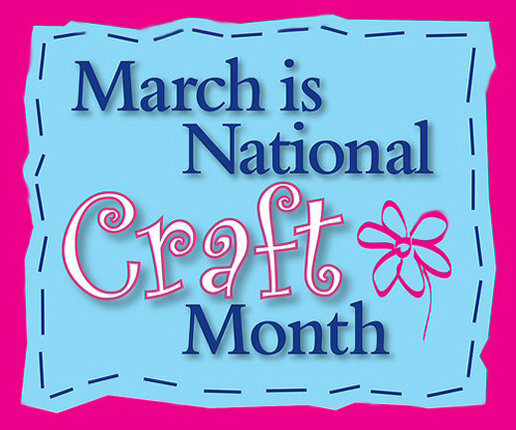 How about trying something new for National Craft Month? 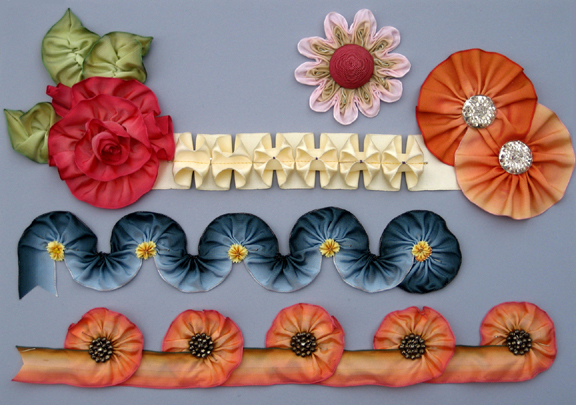 Maybe the ribbon bon bons caught your eye or using ribbon as a beautiful edging or decoration as Candace Kline did. Whatever it is, try something new and HAVE FUN! As always, we’d love to see pictures of what you’ve made, so please do send pictures to: Tinawong@asgchicago.org and I will post them for you or add them to our Flickr album. 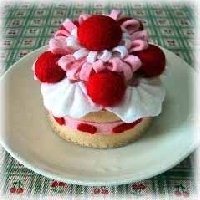 BTW, here’s a link to the tute (tutorial) for a donut pincushion, not the same as above, but you can easily modify it.